NASA Explorer Schools invites K-12 students across the United States to chat with NASA civil engineer Sam Ortega, Program Manager of Centennial Challenge. 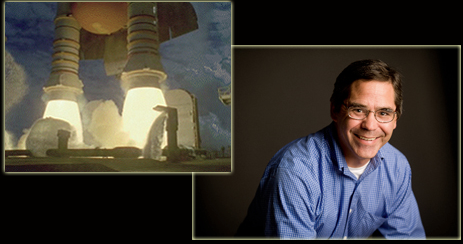 Ortega will answer questions about building and testing solid fuel rocket motors and being a civil engineer at NASA during a live video webchat tomorrow, Tuesday April 19, 2011 at 2 p.m. EDT. Link to the video chat website. The school received attention when the project was featured on a local news station. Students were interviewed on their specific roles in the lunar activity. Read details of Cindy’s experience in NEON. Register, log in, join the NASA Explorer Schools group, and find the On the Moon Educator Guide: On Target forum. The complete story is available there, as well as other educators’ experiences with the On Target activity. The featured lesson, On Target from On the Moon Educator Guide, may be found in the Teaching Materials section of the NES Virtual Campus. On Feb. 8, from 11:15 a.m. to 12:15 p.m. EST, a special Digital Learning Network event with astronaut Ron Garan will be held. Garan is scheduled to launch to the International Space Station in March of this year. During the special webcast event, Garan will discuss his upcoming mission and answer questions from students. Students across the country will be able to watch the DLiNfo Channel’s webcast, and they will be able to e-mail their questions for Garan to answer during the program. Join the webcast by following the link in the DLiNfo Channel Webcasts portion of the page at the DLN website. Students and teachers have an opportunity to learn about the wide variety of career choices at NASA — astronauts aren’t the only folks who work at NASA! NASA employees representing various projects and missions will be in the Digital Learning Network studios for a series of webcasts focusing on careers. They will share their academic experiences from elementary school through college and talk about what motivated them to pursue their careers. Each event will be webcast to allow students from all over the world to watch the interviews. Any student can interact by sending questions via e-mail. — Dec. 1: Marshall Space Flight Center featuring Tristan Curry — Aerospace Engineer. — Dec. 8: Dryden Flight Research Center featuring Kathleen Stanton — Nurse. — Dec. 15: Glenn Research Center featuring Mike Foreman — former astronaut and current Chief of External Programs at GRC. 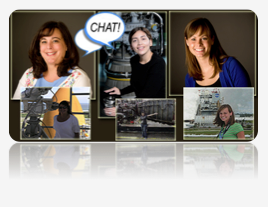 Sign up today to become a part of this exciting opportunity to meet NASA employees live! For more information, visit the DLN website at http://dln.nasa.gov and click the Special Events button. Inquiries about the DLiNFocus series should be directed to Caryn Long.